GRG ceilings define, enhance and highlight areas within a building. 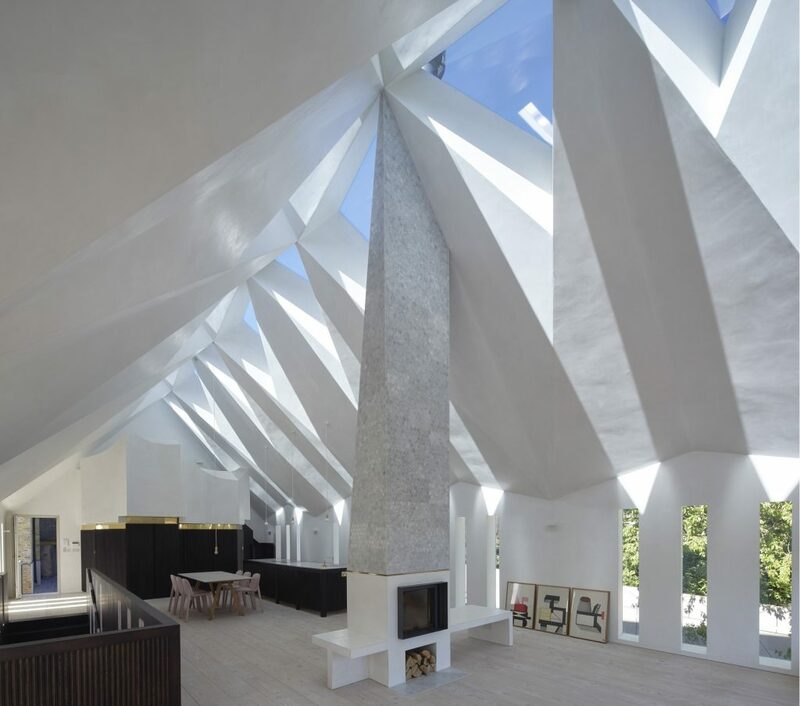 They can take many forms: lowered soffits, raised coffers, circular, elliptical shapes, lighting troughs with concealed lighting, slopes & angles, blind boxes, razor edges, bulkheads or any combination of the above. With our expertise in design and project management skills we have developed methods to integrate GRG sections seamlessly with areas of plasterboard ceilings. Our spray-plaster techniques offer an extremely high-quality standard. This creates the ultimate monolithic finish, with the entire surface covered in a thin coat of plaster. 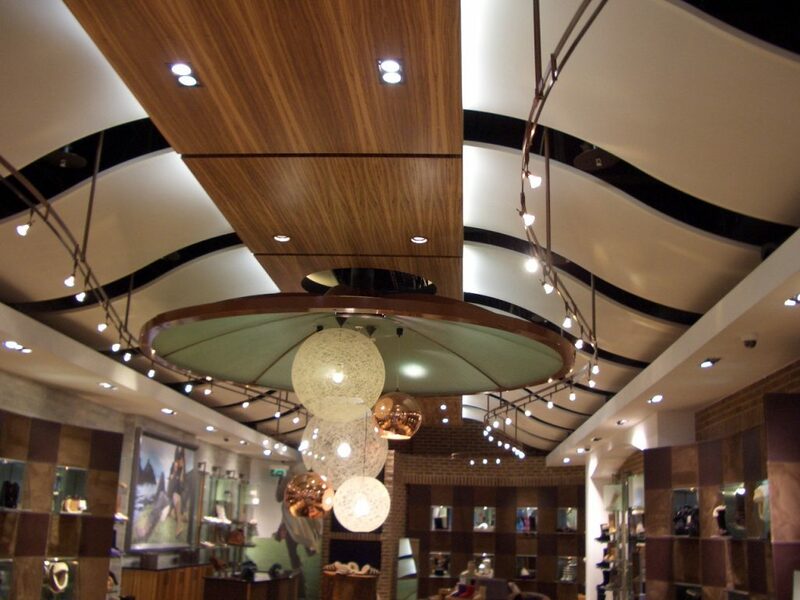 At Design and Visual we understand the complexity of suspended ceiling – this seemingly simple aspect of your refit entails a great deal of planning expertise. There are four principles that we consider when planning a suspended ceiling? 1. First, it must conceal the myriad of mechanical and electrical devices that are installed in the ceiling void, but also provide accessibility for maintenance. 2. It will be housing lighting, speakers, smoke detectors, and air conditioning grilles. 3. It must give an aesthetically-pleasing finish to the interior. 4. It must provide sound attenuation (giving your clients or customers a better aural experience). This four-principled approach ensures that you get a ceiling that complements your interior and pleases everyone below and above it. 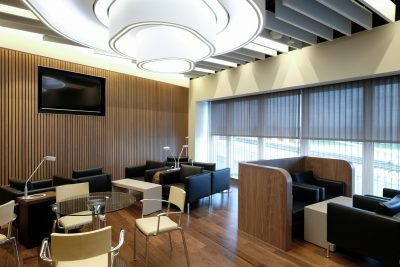 Having fitted numerous suspended ceilings for prestigious commercial developments, Design & Visual is a ceilings specialist. We specialise in the use of elliptical, radial, and sloping areas of ceiling. Our in-house design facility is responsible for producing working drawings of your ceiling. To achieve the very best results, we work closely with Europe’s largest suspended ceiling manufacturer to build your solution. Whatever the challenge, we’ll rise to meet it.